Did a bunch of updates! Leave a comment if I've missed anything. Sorry I missed your post. Updated. Where's it from? What's the story? I've got a Megatron coin from the Perth Mint but it doesn't exactly fit the brief of bonus Asia-distribution items. 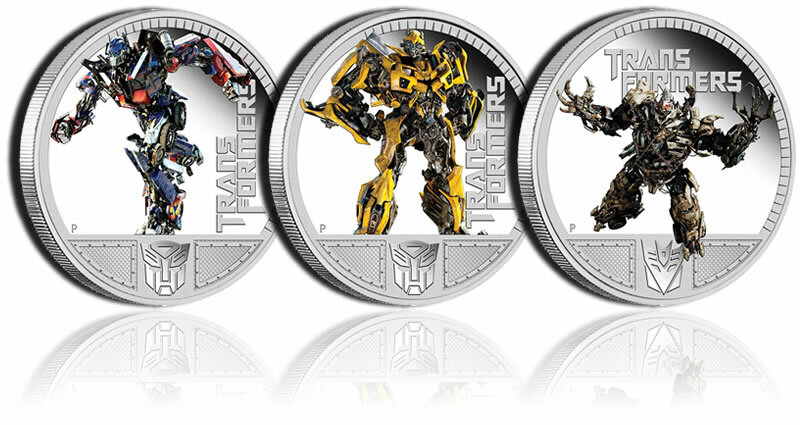 While I realise that the three MPM recent figures haven't had a coin, I haven't heard anything about a set for them. Post some details and I'll check into it. Also you don't have on the list 3 things. the MP-9 Rodimus Convoy "Welcome to Transformers 2010" exclusive mail away sound stage. The matrix sound stage like the one that came with MP-1L Last Shot convoy. Not the same as the MP-9 Display case that is the card board box. Also the MP-9B e-Hobby exclusive comic book like the ones that came with MP-1B and MP-3G. Finally the 2013 Cybertron Con Grimlock exclusive Grimlock Apron. It came in the t-shirt pack that was bought with the Cybertron Con exclusive MP-8. Its a special accessory produced by a Taiwan fashion company and made to fit MP-8 grimlock. I had the display case in there (listed as display stand), but have updated the listing to include the apron from Grimlock (which I own) but not the t shirt as it doesn't actually go with the figure as an accessory or coin. Added the Optimus Primal coin to the list. Feel free to let me know if I've missed anything.